My 'who' is a Chi Eta Phi? : choose a whoMommyMomAuntGrandmaGod Mommy Sorry, this item is currently out of stock. The beautifully embroidered terry cloth bibs definitely make a statement! 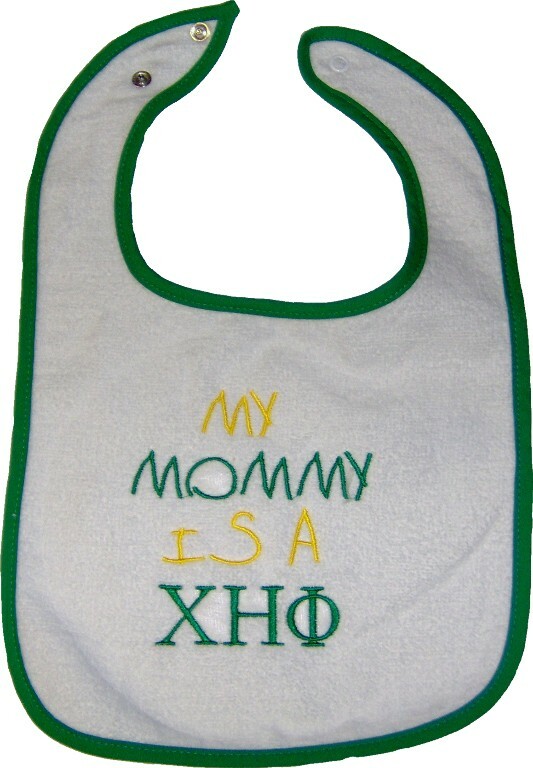 Choose who is the Chi Eta Phi in your baby's life. These bibs have an adjustable 2-snap closure.